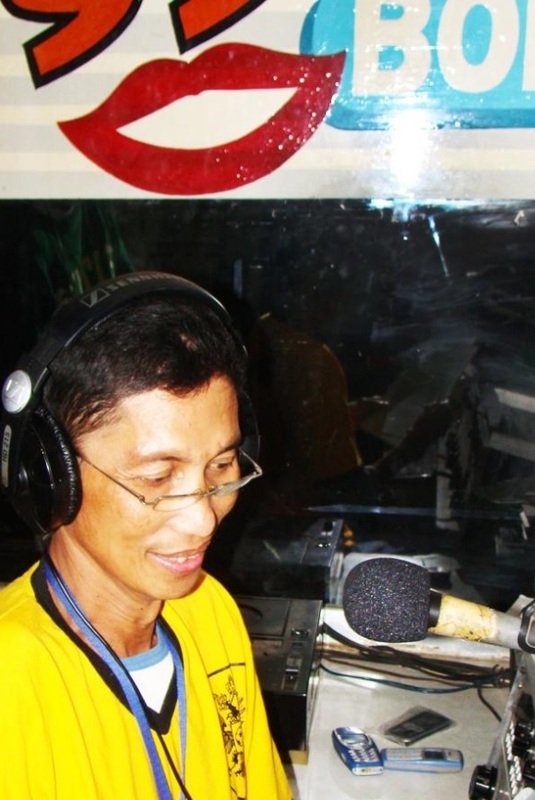 Itâ€™s a permanent sign off from the airwaves for radio personality Joseph â€œJojoâ€ Concon Ligan, 56 years old, who succumbed to a lingering illness at 4:15 in the afternoon on Monday,Â May 23, at the Ramiro Community Hospital. Known on air as George Gray, he died practically with his boots on as he was still hosting his programs over 102.3 KISS FM, the day before he passed away. With his deep booming voice, he brings back the music of yester years in â€œGood Morning, Yesterdayâ€ and the half-hour â€œBeatles Special.â€ Also on Sundays, itâ€™s a smooth and easy listening time with his popular shows, Kiss Back and Good Night Kiss, where he speaks gently in Tagalog as he lulls listeners to sleep. His love affair with the microphone spans for decades already. He was still a first year high school student when he went on-board for a program that played songs and aired dedications and entertainment news. Against his parentsâ€™ wishes to work while heâ€™s still young, Jojo became an apprentice and later, a full-pledged announcer in two local AM Radio stations in Bohol. After he finished college, he went to Manila and was among the pioneers in dubbing work for some foreign-produced shows. Soon after, he found himself deep into the entertainment world as Press Relations Officer handling the bookings of OPM singer Anthony Castelo. As he realized the need for a stable career, he went to work abroad in a consulting firm based in Jeddah, Kingdom of Saudi Arabia, where he stayed for 15 years. For some time he thought that was the end of his love affair with the microphone. However, a kabayan from Cortes also working in Saudi went looking for him and requested that he host a sports event there. In due time, he became a sought-after sports commentator in the Middle East. In 2004, Joseph Ligan was back in his home province and rekindled his love affair with the radio.